FINA Flagship Event Comes to the Middle East for the First Time! 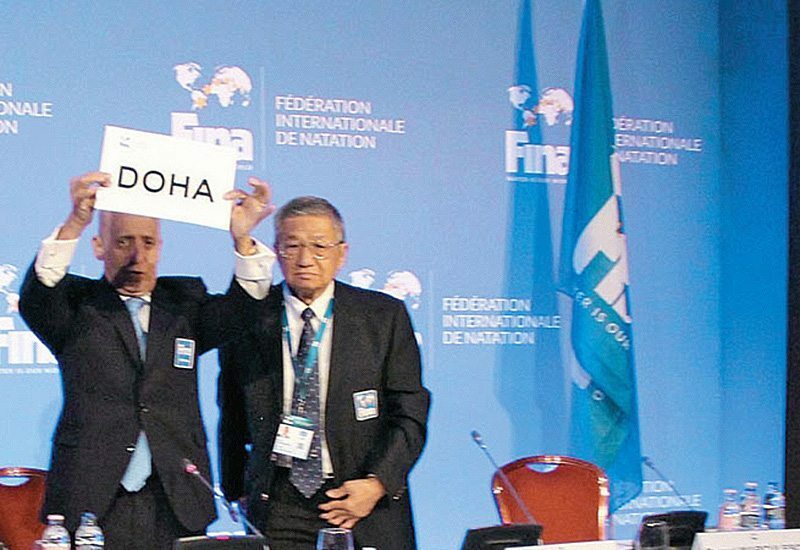 Defeating Nanjing, China in FINA vote on 31st January, Doha has won its bid to host the 2023 FINA World Championships and FINA World Masters Championships. Subsequent to the final presentations in Budapest, Hungary, the FINA Bureau elected Doha over Nanjing, bringing FINA’s flagship event to the Middle East for the first time in its long history. Although Doha has hosted multiple FINA events over recent years, including the 2014 FINA World Swimming Championships, four editions of the FINA World Cup and the 2009 FINA Diving World Series, neither Doha nor the Middle East have hosted FINA’s flagship event. A significant part of Doha’s bid focussed on the opportunity that hosting the World Championships in the Middle East for the first time in history would bring. Doha is a gateway to 450 million people across 22 countries and 60 per cent are under the age of 30. This will undoubtedly bring the opportunity to showcase aquatics to a new region and a new generation. This huge population will hopefully be encouraged and inspired to participate in aquatics, creating more elite athletes from across the region, providing more role models, spreading the values of sport and engaging the whole population through aquatics. Previous articlePOINTS to be noted..